Along with 99.99% of Newmarket residents, I had no idea until a few days ago that Councillor Tom Vegh's spouse purchased property at 366 Silken Laumann Drive from the Town of Newmarket in 2005 and then persuaded the Town to buy it back in 2009 - having discovered it couldn't be developed because of a storm water easement (which had been flagged up in the original Agreement of Purchase and Sale). The land at 366 SLD is shown right. The current Council has chosen not to make the Minutes of Settlement between the Town and the Veghs publicly available. You can read the details here. There are many reasons why information held by the Municipality should be kept under lock and key but the impact of disclosure on public confidence in the operations of the Town is not one of them. Similarly, the Town should not keep records private on the grounds their release would embarrass Town staff or councillors or highlight procedural failings or errors of judgement. The question for me is a simple one. 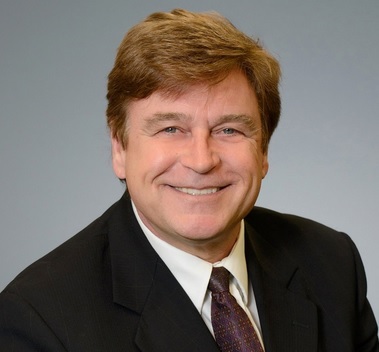 Did Councillor Vegh and his spouse get special treatment? If someone bought Town land and subsequently changed their mind, would the Town buy it back from them? 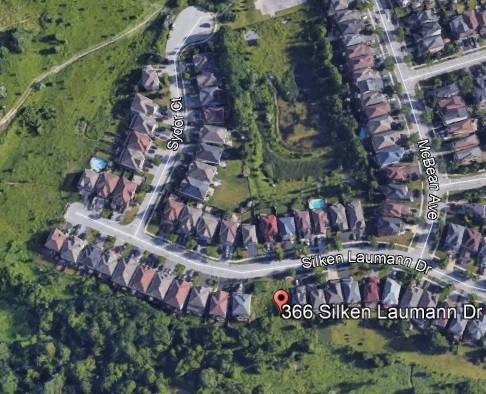 If not, what were the circumstances that persuaded the Town to buy back 366 Silken Laumann Drive? Did the Town follow its "Sale of Land" policy or its predecessor policy that was in force in 2009 when the decision to reimburse was made? Who knows? Newmarket Council plays its cards close to its chest. Always has done. Councillors have it drilled into them from the outset that information is something to be guarded. And released only when it cannot do harm to the organisation or its reputation. Mayor Van Trappist understands this. The old banker has secrecy in his DNA. "In camera discussions go through a process and most of them eventually, if not all of them, eventually come out of camera. You go through a process that takes time and staff review it and they report back to us how to bring it out in its entirety or partially and at what stage." As I've said before, that is a load of baloney. "At the end of the day there will still be matters that we simply cannot and will not disclose because it is not in the best interests of the residents." The property transaction of Councillor Vegh and his spouse plainly falls into that category. It is something to be sealed forever. "We often have conversations or negotiations or litigation or decisions that sharing them publicly would harm the residents' interests in a financial way and in other ways. So, as a brief example, if we are talking about going to the OMB or purchasing a piece of land. These are two examples. Just like potentially selling your home. You wouldn't invite in all the other real estate agents to hear you tell your real estate agent about (what) your lowest offer would be, what you would accept. You would keep some things confidential because that is in the interests of yourself financially. And we do that exact process for the residents of Newmarket." I accept there are circumstances where it would be absurd or even financially suicidal for the Town to disclose its thinking to another Party. But, that said, when should information be released to the public when the original raison d'etre for confidentiality has gone? Last week, as a curious non-member, I wandered along to the NTAG Open House at Madsen's Greenhouse to hear the new Town Clerk, Lisa Lyons, talk about "closed meetings". The surroundings are surreal. I am sitting in half light under a leafy canopy with the Town Clerk in front of me in amongst the vegetation. A reading lamp illuminates her notes as she takes us through her slide presentation, as dense as the Amazonian jungle. She says she wants to make more information available to the public proactively - without the Town having to be asked first. That's good. As we would expect from a Town Clerk, she tells us everything is proper and above board and nothing she has seen has ever raised any concerns in her mind. She is asked a question about the 2003 land swap at the Clock Tower (which is going to the Superior Court on 15 November 2017) but cannot comment as it was before her time. Ms Lyons tells us some closed session matters concerning land, for example, can remain locked away and off limits for 10 years. Doesn't surprise me in the least. We only found out in June 2015 that in 2008 the Council had considered buying the Glenway lands but had decided against this after councillors were told by the CAO Bob Shelton that the Town was not in the business of running a golf course. This little nugget of information was kept from the Glenway OMB Hearing. That's true so far as it goes. Had the Town let it be known it considered buying the land but decided not to, it would have introduced a new dynamic into the Glenway story. If the Town is not in the business of running a golf course, is it in the business of preserving open space at a time when the Town is slated for major growth? The details were also kept from the Glenway "Lessons Learned" meeting. "A head may refuse to disclose a record if the disclosure would reveal advice or recommendations of an officer or employee of an institution or a consultant retained by an institution." It seems to me the Town should take steps to weed out and declassify material that no longer needs to be kept secret. The former Town Clerk, the excellent Andrew Brouwer, told me in 2015 there wasn't a "routine" process for disclosing closed session records as it would be time consuming and sometimes difficult to make a clear determination. He would have to take into account factors such as privacy, third-party information, protection of financial interests and legal advice. Fair enough. The Council can, of course, make all or part of a closed session record public on its own volition but even then the Town Clerk would have to ensure disclosure would be permitted by law and not run foul of access and privacy legislation. In the absence of a process to declassify closed session records we are left with the alternative, Freedom of Information requests. But, as we have seen with the Vegh case, FoI has its limits too. If a Municipality is determined to keep its residents in the dark, it has plenty of options.